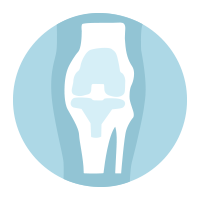 Providing the most advanced therapies in the treatment of complex knee conditions. 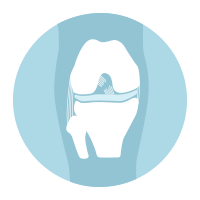 Dr Balalla uses the latest in computer technology to provide patient-specific solutions to your knee problem. Dr Buddhika Balalla is an Australian-trained Orthopaedic Surgeon in Sydney, who specialises in all aspects of knee surgery including arthroscopic (key-hole) surgery, ACL and other ligament reconstruction, partial (uni-knee) and total knee replacement, revision knee replacement and computer assisted surgery. His philosophy is one of constant refinement and excellence in all aspects of a patient’s care, including assessment, surgery, and rehabilitation, and maintaining and applying the most up-to-date knowledge of current orthopaedic developments and technology. Dr Balalla grew up in Sydney, attended Sydney Boys High School and subsequently studied medicine at the University of New South Wales. After graduating in 2001, he completed his internship and residency at St George and Sutherland Hospitals. I am a Specialist Orthopaedic Knee Surgeon based in the Hills/Norwest and Eastern Suburbs areas and I am a consultant Orthopaedic Knee Surgeon (VMO) at Westmead Hospital, one of Australia’s busiest orthopaedic and trauma hospitals. My approach ensures your treatment is always individually tailored. 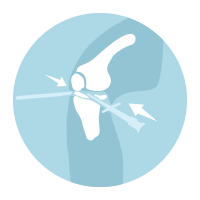 I focus on preserving natural motion and your body’s own tissue whenever possible to repair and reconstruct the damaged knee. I also have special expertise in performing precision knee replacements using computer technology to optimise implant positioning from your own biometrics. I work closely with a team of carefully considered allied health practitioners who use the latest pain and rehabilitation therapies to maximise mobility and minimise recovery time. Collaboration with my professional colleagues is one of the most effective ways to advance patient treatment, and I frequently present research and attend worldwide conferences. The progress of each of my patients is also tracked continuously via standardised questionnaires to ensure consistent optimal outcomes. Each of my patients is treated with courtesy, respect, and most importantly, evaluated carefully and thoroughly in an unrushed manner. I look forward to helping you. Please call my rooms on 1300 695 633 to discuss your knee problem. I consent to Dr. Bu Balalla collecting my details through this form.